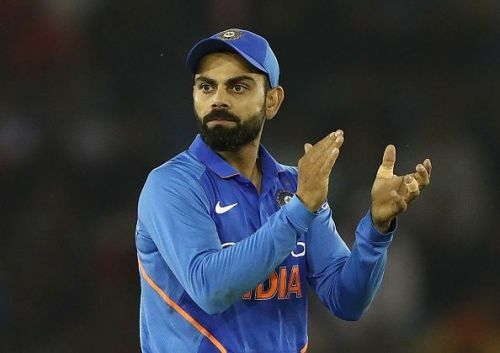 The 15-member squad for the Indian team for the upcoming World Cup is set to be announced today. When the selectors sit to decide on the squad, they will have 11 names who select themselves. The other four slots are what the focus will be on. After a lot of experimentation over the past couple of years, it is finally time for the selectors zero in on the final combination. Rahul had a dream run in the IPL 2018 and looked set to grab a place in the XI, be it the number three spot if not the opening slot. But dismal shows across all formats in international cricket saw him slowly going out of favor. Now with his bat doing the talking again in the ongoing season of the IPL, Rahul is back in contention for the backup opener's role. Pros: Can be tried as a backup opener, at number three when the team decides to put Kohli at 4, and also at the much-debated number 4 slot. Moreover, he also gives an option as a backup wicket-keeper. Cons: His T20 form has been great of late, but at the same time, that has not been the case in ODIs - neither at the top nor in the middle order. Ambati Rayudu got the backing of the skipper when Kohli said that Rayudu is someone they are looking to stick to for the number four slot. He was almost a shoo-in for the middle order until his recent failures put some doubt in the management's minds. More than his failures, it is the manner of his dismissals which has given rise to questions regarding his technical deficiencies. Pros: An average of 47.06 and an experience of 55 matches hold him in good stead. Rayudu can be a real asset, considering he can bat anywhere from number 3 to 6. He is a proven customer and will enjoy the conditions in England in the later stages of the tournament. 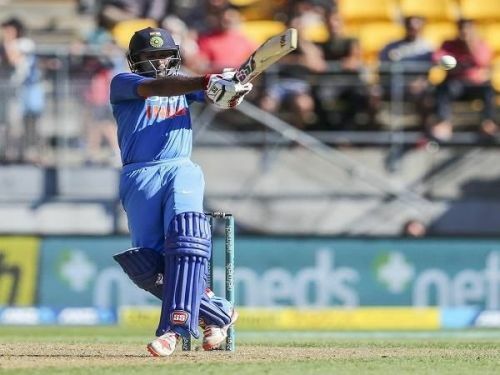 Cons: Technical deficiencies in his batting which were exposed during the home series against Australia might go against Rayudu. His form has not been great after his match-winning knock of 90 in New Zealand. Dinesh Karthik is hugely experienced and is a dependable finisher. Primed to fit in the squad as the backup wicket-keeper, Karthik was dropped for the home series against Australia to try out Rishabh Pant. The KKR skipper has not had a great run in the ongoing IPL too, but he is a proven customer and his finishing skills are something the team can rely on. Pros: Much like Rayudu, Karthik can bat anywhere from 4 to 7. He is more suited as a finisher though, and his composure during tense chases has been the key to his success in recent times. Moreover, he is the best wicket-keeper in India after MS Dhoni. Cons: Inconsistency and the lack of a surprise element are factors which might go against Karthik. There has been a constant debate over Rishabh Pant's place in the squad for the World Cup over the past few months. Pant's success in the Test matches in England and Australia have made experts believe he can be an asset for the team in the World Cup. However, Pant has not replicated his success in Tests or ODIs. In the limited chances he has got, Pant has not looked comfortable in the ODIs and has also thrown away his wicket a number of times. Pros: Rishabh Pant can be India's biggest surprise element in the World Cup. His ability to hit effortless sixes against quality bowlers has been the highlight of his game. The DC wicket-keeper can be used as a floater and if given a license to go on the offensive from the first ball, he has the potential to turn the game on its head. Cons: Inexperience and lack of temperament are the biggest factors that might go against Pant. He has a knack of throwing away his wicket at crucial situations, which can be disastrous in a tournament like the World Cup. Not even in contention till the beginning of this year, Shankar is now a serious contender for the number four slot. 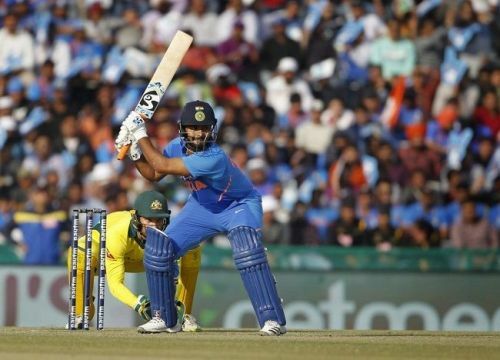 His batting is something the team can rely on, especially after his counter-attacking knocks against New Zealand and Australia, coming in at 18/4 and 75/3 respectively. Moreover, Shankar is a rare commodity; a seam-bowling all-rounder. Moreover, his batting form in the IPL this season has been quite impressive. Pros: Shankar provides great balance to the squad and can be used as the sixth bowler if one of the main bowlers has an off-day. The English conditions will suit his style of batting. Also, he can be used as a floater in the middle order, having the ability to shift gears at will. Moreover, having him in the squad will give the management the luxury to replace Hardik Pandya in case of injuries. Cons: Inexperience is the biggest obstacle for Shankar. Also, his bowling is yet to gain the confidence of the management. His selection will depend a lot on the combination the selectors want; an extra pacer or an all-rounder. 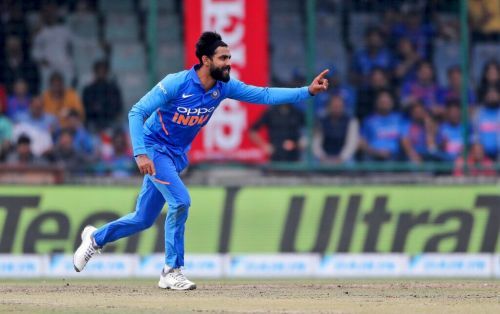 Sidelined from the limited-overs squad after the arrival of Kuldeep and Chahal, Jadeja made a comeback to the side in the Asia Cup and has impressed in the limited opportunities he has got so far. 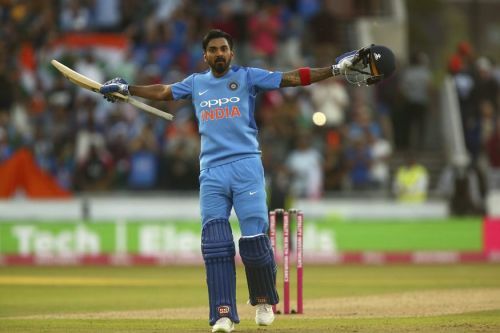 He has been in good form with the ball in the ongoing season of the IPL and considering the conditions in England in June-July, having an extra spinner in the squad is always an advantage. Pros: Apart from his accurate bowling and handy batting, Jadeja is capable of turning games with his fielding too. One of the best fielders in the world at the moment, Jadeja has the experience of playing two Champions Trophies in England and hence, will be useful in such conditions. He is also a handy batsman and will provide depth in batting. Cons: Jadeja has not been great with the bat off late and is unlikely to make it to the XI as an all-rounder. The only other factor that might go against Jadeja is that whether the selectors want an extra spinner or an extra pacer, much like in the case of Vijay Shankar. Also, there will be a competition between Jadeja and Shankar if the selectors decide to go in only with one of them. A few other names that might come into contention include Khaleel Ahmed, Navdeep Saini, and Ravichandran Ashwin. But it is highly unlikely that selectors will go beyond the six names for the remaining for slots.